There is no doubt the age of wearable monitors is upon us. Sales of physical activity monitors have increased dramatically from 15 million in 2014 to 65 million in 2017, according to Statista.com. A 2017 study by Juniper Research estimates that the use of fitness trackers will double by 2021. Another 2017 study, this one by Researchscape, found that 51 percent of Americans reported using fitness trackers at least once a day. It is no surprise then that clinical researchers are eager to take advantage of this potential treasure trove of data. 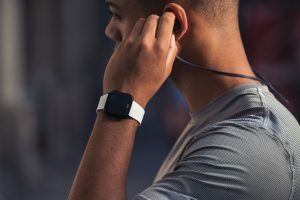 “The use of wearable devices in clinical trials is turning the corner from an exciting, but untested, idea to an established tool in researchers’ kits,” said Adam Pellegrini, general manager and senior vice president at Fitbit Health Solutions. Pellegrini cites the inclusion of Fitbit in more than 675 peer-reviewed publications. The popularity of Fitbit products and other wearables likely assures participant compliance. The challenges for researchers looking to harness this data, however, are manifold: managing the large sets of data generated by wearables, keeping pace with wearable device innovations, validating the accuracy of devices used in studies (especially clinical trials aimed at FDA-approval), and devising ways to translate clinical research into easily-digested results physicians can use to improve outcomes. Researchers working with digital biomarker data every day say the challenges pale in comparison to their potential power to transform everything from better chronic disease management to the improved probability of successfully shepherding a drug candidate through clinical trials. At HealthRhythms, a company with a software platform that allows physicians and clinical researchers to look at various biomarkers relevant to mental health, CEO Tanzeem Choudhury, Ph.D. and her team are trying to merge the insights that smartphone technology can provide with those of clinicians and therapists. Choudhury is also an associate professor of information science at Cornell University where she runs the People-Aware Computing Lab. “This is a domain where most diagnosis is done either through observation or patient-self-reporting,” she said. Choudhury’s goal is to make diagnosis more objective and quantifiable. “That’s where biomarkers come in.” HealthRhythms uses smartphone sensor data to automatically measure patterns of behavior. In 2017, the company received a $2.1 million grant from the NIH to continue investigating smartphone-based behavioral health interventions. Currently, the company’s applications focus on measuring biomarkers of depression, including how a person uses their phone, their number of steps, location (at home, work, or out in the community), and sleep time. These data help generate scores of sociability, mobility, and activity. 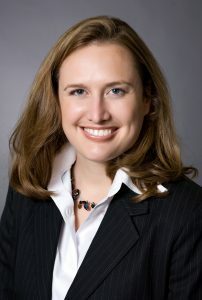 The company is currently performing a clinical trial with researchers at the University of Utah to look at interventions based on these data, which can inform researchers if people are becoming more isolated, if their energy levels are decreasing, and if they are sleeping poorly—all indications of worsening depression. “We can actually track change in mental health,” Choudhury noted, adding that the challenge she and other clinical researchers face is how to turn vast amounts of continuously collected data into packaged results physicians can—and will—use the data. The question, she said, is how can these data be delivered in the most clinically efficient way so that doctors can use it to improve the efficiency of their practice. “Most physicians don’t want to see data unless something is wrong,” Choudhury said. “The delivery has to be targeted.” Collier even suggested that digital biomarkers may require new training for medical professionals. “This is more data than we have ever had,” he said. Digital biomarkers also promise to change in-patient care. An ankle-worn step tracker by modus health, called the StepWatch, received FDA clearance more than 15 years ago. 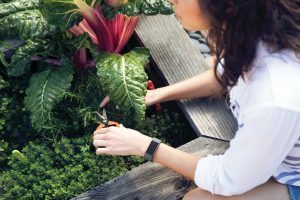 “Our goal is to become part of routine clinical care worldwide,” said CEO Teri Rosenbaum-Chou, Ph.D. More wearable device makers are likely to pursue FDA clearance in the future, opening up new research opportunities. 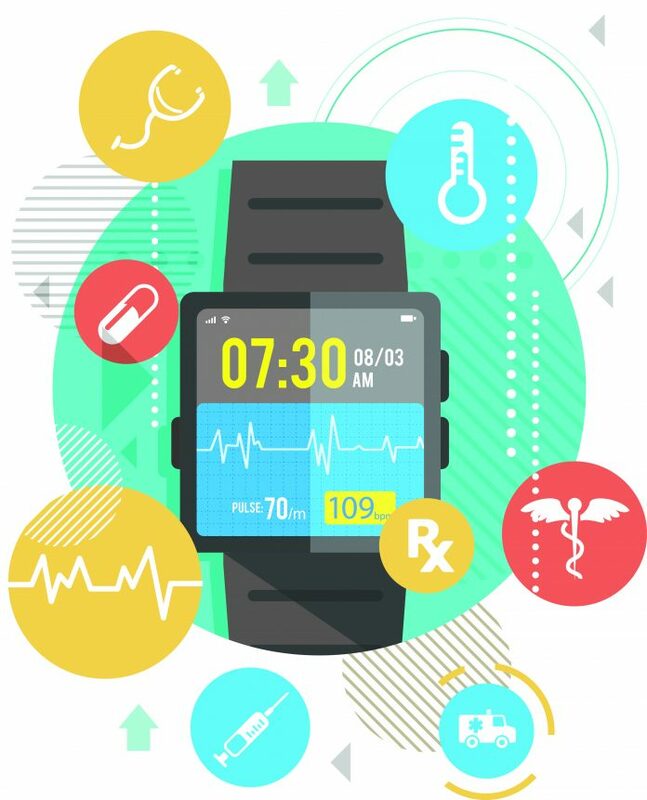 While the FDA determined the StepWatch is safe for use, and some devices, depending on their classification, can be used in the context of clinical decision-making, they are not, however, used to diagnose or treat disease. In 2018, the AppleWatch with EKG and abnormal heart rhythm indicator received FDA clearance, followed in 2019 by the Study Watch with ECG by Verily—a subsidiary of Alphabet, Google’s parent company—that is available only to researchers. 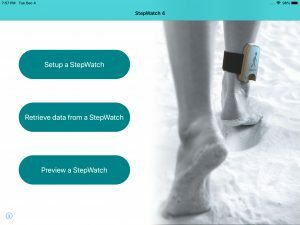 The StepWatch easily attaches to a patients’ ankle while in the hospital. The StepWatch was developed using patients who had difficulty walking, patients in which other consumer-available activity trackers often did not record steps taken. These monitors have the potential to improve the efficiency with which nurses and other caregivers in hospitals triage patients after surgery. Both in hospitals and after discharge, patients recover from surgery more quickly if they are able to walk around. “The more patients walk before they leave the hospital, the lower the possibility of readmission,” said Rosenbaum-Chou. Most people would agree that getting more value for healthcare dollars in the U.S. includes reducing the cost of bringing individual prescription drugs to market, which was estimated at $2.7 billion in 2017 by the Tufts Center for the Study of Drug Development. Pharmaceutical companies are keen to reduce the money spent on drugs that don’t gain FDA approval. Chris Benko, CEO of Koneksa Health, spoke at a Keystone Symposium on Digital Health in January 2019 in which he made the case that digital biomarkers are the key to making drug trials more efficient, weeding out costly underperformers more quickly, and potentially saving the industry millions—or even billions—of dollars. Koneksa’s platform allows its client researchers to remotely capture real-world data—including physical activity, blood pressure, ECG, spirometry, and other digital measures—from patients in real time from remote biometric trackers, mobile devices, and health apps. Koneksa also works to develop devices and validate the measures to be used in a study, delivering to clients a device kit for each study participant, then collecting and analyzing the data. This individualized approach is necessary, Benko said, because all digital biomarkers are not created equal. The intended use of the data defines the rigor of biomarker validation needed—the commercial fitness tracker data intended for personal use are different than the data intended for a drug approval, which needs to meet the FDA requirements for human experimentation. “In almost every case, we invest in studies that collect the human data to characterize a particular biomarker and determine if such a biomarker is fit-for-purpose,” Benko noted. The fit-for-purpose principle means that biomarker development and validation experiments are tailored to answer specific questions asked by drug development studies. The study participants take experimental medicines while digital biomarker data is being collected to see if, for example, there is a response to treatment or there is a safety signal. Later, the data needs to be presented to the regulators. Eventually, Benko predicted, traditional assessments presented to the FDA will be replaced by digital ones because they are collected in a real-life setting and more accurately reflect how patients feel 24/7.